Today’s Cool Album of the Day (#635 in the Series) is The Spanic Boys. 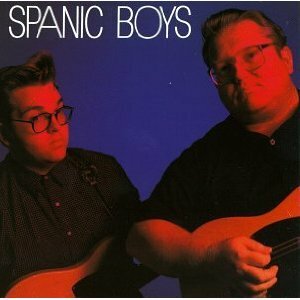 Today we are looking at an early 1990s band called The Spanic Boys. They are yet another band from the great state of Wisconsin. I raise that topic because besides looking at The Spanic Boys, I also want to take a look at how underrated the state of Wisconsin is in regards to being a producer of some great music. The all-time patron saint of music in Wisconsin is probably not other than the late Les Paul. That name is about as historic in the world of music as you can get. But even in the last 30 or so years state has produced some wonderful musicians. In the last few months we’ve looked at bands like Fire Town (which included the now mega-producer Butch Vig) and also Loey Nelson. Those are two of my favorites from the state, but you also have to remember that some wonderful acts like the BoDeans and the Violent Femmes also called Wisconsin home. So not only was there a decent number of good acts but they also brought some variety and some darn good taste, especially if you’re a fan of Americana music. This was before the term Americana had surfaced. I guess Roots-Rock may have been the closest genre to describe them at the time. Other great acts from Wisconsin that I’ve eluded to include jazz singer Al Jarreau, Genesis tour guitarist Daryl Stuermer (who also did some great work with his own band called Sweetbottom), Clicker and Steve Miller. Others who made a name for themselves include Leland Sklar, the Talking Heads’ Jerry Harrison, and Howie Epstein of Tom Petty’s Heartbreakers. Yeah okay, Liberace too and of course Bon Iver. I’m sure there are a ton more as well. So tell me about The Spanic Boys you say. They had three albums on Rounder Records in the early 90s and then some here and there since. They may have also been quite possibly the most unique band I remember. Why? Well how many bands do you remember that were made up of a father-son team that played outstanding rock ‘n roll. I never did see their actual ages listed but I do know they were 22 years apart so I’m guessing when this album was released that they were maybe 47 and 25, maybe even little older. 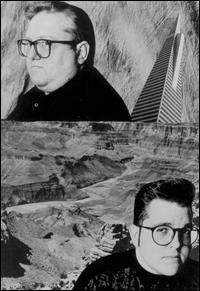 Tom, the father and Ian, the son, shared a love for harmonious twangy guitar rock ‘n roll similar to the Everly Brothers. You can also tell that they’ve listened to the blues, Elvis Presley and Buddy Holly, etc. Their big break came in 1990 when on the strength of a wonderful song called “I Keep on Walking” and a friendship with guitarist G.E. Smith landed them one of the coveted spots on Saturday Night Live. G.E. was the musical director of the show at the time. Originally, Sinead O’connor was going to be the musical guest that night but cancelled in protest of the host, Andrew Dice Clay. When she pulled out, G.E. made the call. You may also remember G.E. from being a longtime guitarist for Hall and Oates. The Spanic Boys also made an appearance on The Late Show with a David Letterman. They’re still making music having released their last album to date in 2006. Here’s some more cool Americana albums to check out. What a great one! Perfect album for here – I only wish I had thought to review it!